AT&T Digital Life is one of the most feature-rich home security solutions, with a slick app interface, smart home automation options, and a sizeable cost to match. We know what it’s like to search high and low for a home security solution that won’t make us broke. That’s why we are now taking a look at the AT&T Digital Life, a relatively newer entry to the world of remote monitored home security. We know it’s impossible to evaluate all options when it comes to a product like this, so we’re stepping in to do the hard work of figuring out which companies are worth your time and money. This is a product you’ll depend on to keep your family and your home safe, so we look at the aspects that really matter. For anyone looking to secure their own home for the first time, the array of options might seem intimidating, but in the end the choice boils down to a balance of cost and effectiveness. Which features will serve your family best? How much will you pay? Most importantly, how well does it work? We’re looking closely at AT&T Digital Life to share the features, reliability, cost, and overall effectiveness of the program so that you won’t risk your time or money. If this is your first time buying a home security system, you’re going to be understandably wary of every claim that a company makes; after all, it’s your safety that’s at stake. Every customer wants to enjoy peace of mind and confidence that their home and family are safe whether they’re at home or traveling abroad. If you’re looking to change home security services, you know where this is going. You’ll first want to consider the cost, remembering that it doesn’t always correlate directly with a certain level of service. A higher price tag often indicates better hardware or additional features, but a lower price doesn’t automatically translate into a poor product. You’ll also want to consider the reputation of the company, because trust in the remote monitoring quality is the very foundation of owning a home security system. Without that foundation, it’s just a bunch of electronics in your home. 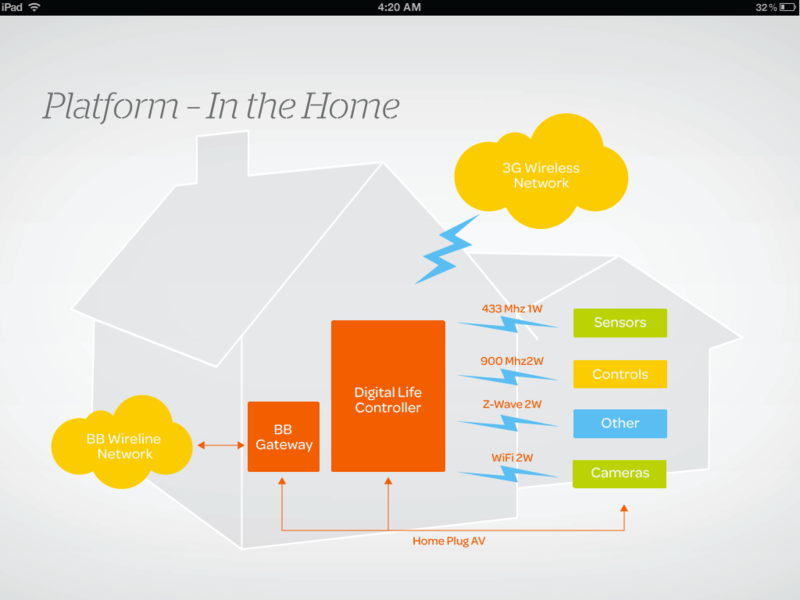 In the case of AT&T Digital Life, we are looking at a product that is aimed toward the higher end of the spectrum, with a host of smart home features and a hefty two-year contract to match. The value depends on what you need most in a home security setup. What Is AT&T Digital Life? 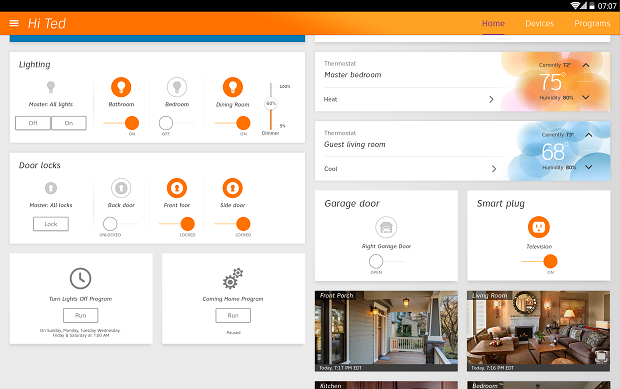 AT&T Digital Life home security solution revolves around a slick app interface and smart home integration, making it one of the more notably forward-looking setups on the market. This product is definitely future-proofed, with a wealth of features that set it near the forefront of home security today. While the comprehensive service and professional installation comes with an appropriately hefty price tag, the lack of DIY guesswork or home integration struggles might make it a very worthy purchase for you. Let’s look at some pros and cons of the product. As with any worthwhile home security setup, AT&T Digital Life comes with a professional monitoring subscription that guarantees the most important part of the system: a real human being alerting the authorities when needed. When any of the door, window, or motion sensors goes off, someone is there to help you out and determine if it’s just your child who forgot the code, or if there’s a real emergency. We believe that smart homes are the way of the future, helping us live safer, more convenient, and more efficient lives. Smart home devices range from learning thermostats to lights that can be triggered remotely, and AT&T Digital Life is ready to integrate with all of it. Available on their second and third tiers of service, this includes lock control as well as monitoring and control of thermostat and other small appliances. The best part is that this integration works well with the next big feature. As with many of the best home security companies out there, AT&T Digital Life offers the ability to use your smartphone, tablet, or computer to control the system from anywhere on earth. This brings immense peace of mind, especially to those of us who are prone to wondering if we left the door unlocked or the lights on, right as we are boarding a plane. With the highest tier of service, you’ll be able to control all of this, in addition to smart enabled appliances, no matter where you are. While not normally considered a feature, the cost of AT&T Digital Life needs to be addressed. This high level of technology and services comes at a premium. The three tiers of pricing are as follows: $39.99 for just the security equipment, $54.99 for security plus home automation, and $64.99 for the full suite of smart home automation features, including smart appliance integration. These prices aren’t bad at all, but they don’t account for any extra pieces of equipment you may need, or the fact that you’ll be locked into a two-year contract if you sign up. We took a look around the web to find out what real customers think about AT&T Digital Life, because if there’s anything we know to be 100% true in the home security market, long-term experience is valuable. Below we share a handful of reviews representing the opinions we found. “Went to AT&T Store. Met with the Manager and explained my problem. He indicated that it had to be the door lock and not the system. He took ownership of the problem and contacted the Service Center to cancel my cancellation request and schedule a 3rd Tech to come out with the specific order to replace the door lock. The Tech did and the system worked for a few minutes then the app timed out without completing the function selected on the IPhone. The Tech relocated the system box to the forward part of my home and I am happy to report that the system has worked for 32 hours now. Previously the problem surfaced within 3 hours after the tech left. Thanks to the Manager – Paul and Tech that continued to think critically while at my residence to solve the problem.” – E. C.
Vivint focuses big-time on home automation, providing entirely wireless home security technology with their selection. The company offers professional installation and setup, so you don’t have to lift a finger or worry about getting it right. This level of attention comes at a cost, which is why Vivint is aimed aimed at homeowners who want to avoid the risks that come with DIY installation. ADT is the most famous name in American home security. Their little blue signs have been seen around neighborhoods for decades. The company is known for its high level of service, including full consultation and installation. The price is accordingly higher than comparable DIY services. Frontpoint has a different focus, with DIY installation, wireless security, and smartphone access as its central services. They have a reputation for quality customer service, all-cellular monitoring, and low costs. Overall, AT&T Digital Life can be considered a solid home security effort that brings a hefty price with its high-quality equipment, round-the-clock monitoring, and mobile control app. With a two-year required contract and steep cancellation fee, you’ll want to be sure you are choosing the best option. The solid home security functions and array of home automation options are an important consideration. If you value your time and freedom more than money, it could be the best solution for your home.